Remember that Queen's Blade statue? The jumbo one with silly proportions that an 88 year-old gentleman was thrilled to hold? Well, there's another huge statue slated for release. It also has silly proportions. This is an unpainted prototype statue of Super Sonico, the mascot character for adult PC game maker Nitroplus. The figure is 1/2 scale. That obviously means it's not life-sized, but also that the figure is quite large. Expect the figure to cost ¥39,800 (US$442) when it is finally released. 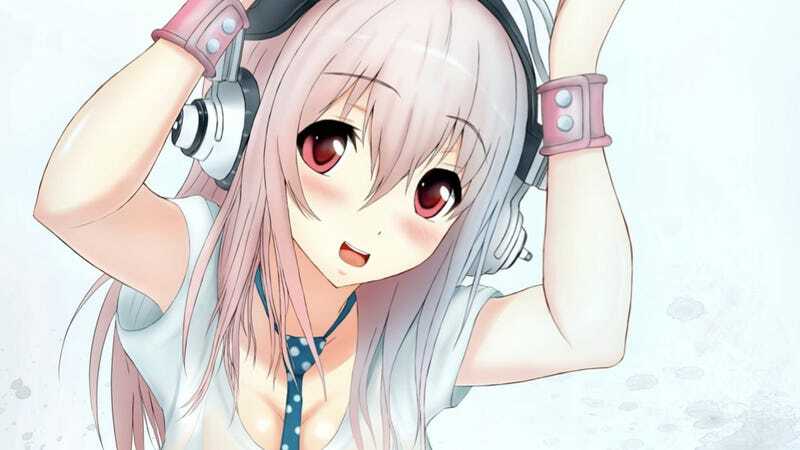 Depicted wearing headphones, Super Sonico has become popular in the past few years as obvious fan service pandering, such as statues like this. Though, they're just usually not this big.